Recently, we got the pleasure of having a virtual meet up with Drone and AI startup UVify’s, Head of Business Development, Robert Cheek. UVify’s new Draco drone was the main attraction at CES 2017. The startup has developed technologies that can provide drone racing to general public. For those who are interested, Draco is currently up for pre-order, at $499. Shipping is expected to start by the next quarter. TT: As an organization what are your motivations behind UVify, and what has the growth been like to date? RC: UVify was founded to create autonomous flying robots (UAVs), or as they are more commonly known now, drones. While we remain committed to that goal and continue to develop technologies to that end, we are currently focusing on the racing drone business. Growth is much better than we’d initially anticipated and we are gearing up to meet the rising demand. TT: What inspired the Draco drone? RC: We see drone racing as the F1 of the 21st century, an arena in which we can develop technologies in an intensely competitive environment that wields amazing products. We are huge fans of drone racing and wanted to provide the general public with a way in which they can enjoy this amazing sport. To provide an incredible experience, we realized we needed to develop great hardware. Draco is the result of vigorous testing by the best pilots in the world who push drone hardware to new levels of excellence. 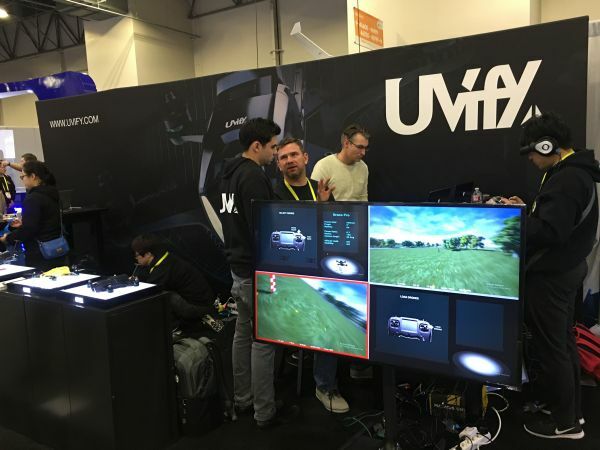 We believe that building racing drones is one step in our path to making UVify a consumer facing brand and through this process we will have hardware that is unmatched in the commercial drone space. TT: Talking about the racing drone market, after the CES 2017, are there any more fields, where Draco drone is making its presence felt? 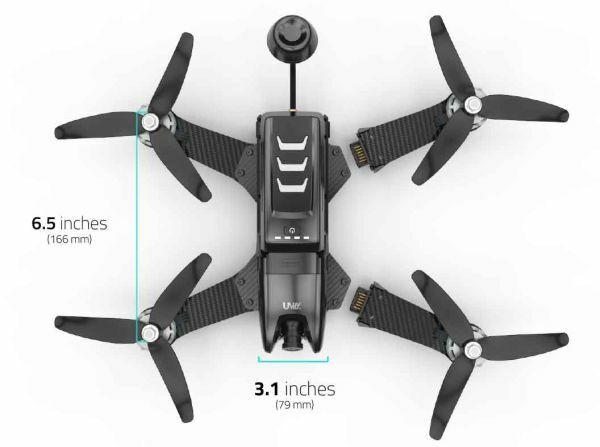 RC: Rest assured, we are working on other applications for our high-performance drones and in Q3 we will make some announcements via our mailing list, which you can subscribe to at www.uvify.com. TT: Do you think that with the emergence of AI and fueling VR advancement with drone technology, the travel industry might take a radical change? RC: That is inevitable. We are now looking at the out of body experience being realized through the convergence of multiple technologies. Within the next decade, such advances including a slew of technologies will make this happen. TT: Within the span of how many years do you think, drones getting AI would superimpose the current analogy, “man’s best friend”? RC: Conservatively speaking, this will happen within twenty years. Aggressively speaking, within ten years. I’m personally inclined to go with the latter projection, especially when looking at the resources around the world being channeled in the race to make this happen. TT: How far do you think, the racing drone market has been able to create a vibrant ecosystem of advertisers and brands that want to benefit from it? RC: We are in the beginning phase of this market. Already we see a flood of advertisers rushing to get into the market. I believe many fear missing the boat and having other brands displace them as we saw with when eSports entered its rapid growth phase. We are developing a new ecosystem now, but for the most part, the current players in the space are using existing models from auto racing and eSports. Again, a new advertising paradigm will emerge with this new cultural phenomenon. The rise of this new sport, along with advancements in related technologies such as robotics, VR, etc, is symbolic of the age that we are in. Those companies who fail to recognize and work with players who are redrawing the map will soon find themselves irrelevant. 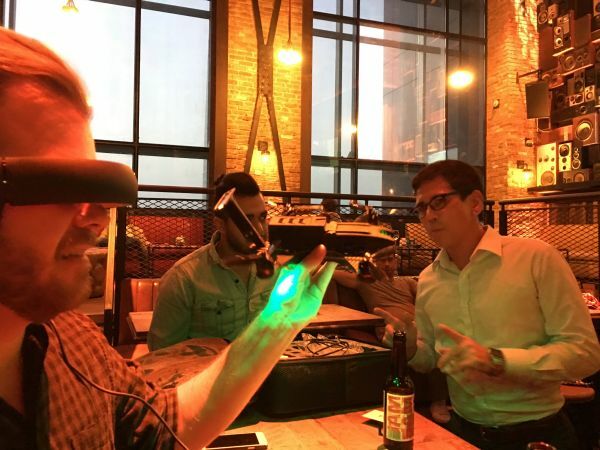 TT: Do you think gamers will enjoy the same adrenaline rush when wearing FPV goggles along with controller in their hands since both esports and drone racing have a lot in common when it comes to growth within the sports entertainment industry? RC: Absolutely. They will enjoy an even greater rush because these technologies and cultures are converging. With eSports we saw the rise of competitive cyber sports and with drone racing we now see the rise of competitive cyberphysical sports. Again, it is indicative of the era that we are in. We had rapid development of software but now see the rapid development of hardware. The game has become reality. TT: Video games took some time to become mainstream, however, the racing drone market is taking giant steps relatively, how far I am correct is holding such a proposition. RC: You’re right, the video game industry went through a few phases starting with the 8 bit era (before NES) and consoles like the Odyssey2, Atari VCS, Colecovision, and computer gaming with machines like the Commodore 64 (and pong, etc. before but that is beyond the scope of this article). As that was the inception of electronic entertainment, the market had to go through growing pains, which it did as we saw with the crash of 83 and then reemergence of gaming with the introduction of the NES. With drone racing, the technology is ready, the infrastructure is there, and more importantly mainstream culture is primed. Many, including myself, believe that drone racing will eventually supplant auto racing as a spectator sport. This is already happening, look at the stats for auto racing attendance and then take a look at the growth in drone racing. TT: Drones represent the next level in aviation, which requires legislation to upgrade as well, after all the requirements of tomorrow are different from the needs of today. I’d like you to expatiate a little for our readers on take. RC: As I’m sure your readers know, technology and business always lead the legislative process. It is important to have legislative representatives who are tech savvy and forward thinking. Making attempts to throttle humanities’ accelerating evolution is an exercise in futility at best and overregulation of emerging technologies by any government will only give a competitive advantage to those who are more open to growth and willing to work with those driving the change. Governments should focus their efforts on social welfare to improve the quality of life for all people. 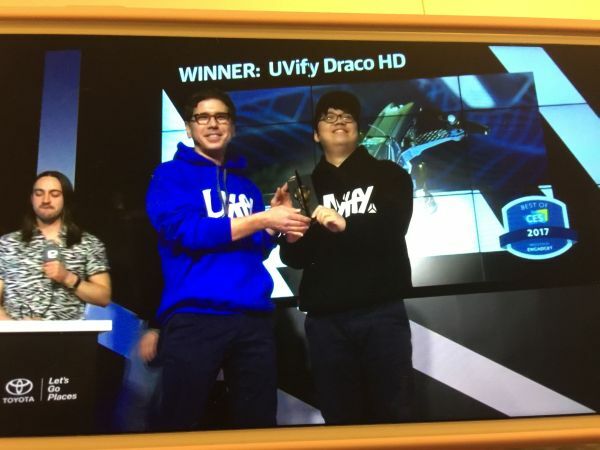 TT: What are Uvify’s future plans with respect to Draco? And presently, what are the interesting things that have hooked your attention? RC: UVify will use Draco to democratize drone racing, to make the great sport accessible to all who wish to participate. For HD Draco, it will be used to create mind-blowing content, a tool for those who want to make extreme aerial videography and new types of cinematic art. We are already seeing some amazing content development being created by our pilots. Presently I am very interested in the efforts of Jeff Bezos and Elon Musk to push the human race to the next frontier. It is great to see such brilliant minds use their resources to drive humanity forward, breaking out from the antiquatedand tired model of simply trying to hold and pass wealth to ones descendants. TT: What is your philosophy behind the little flying machines? RC: To build robots that are unlimited in their movement. RC: First and foremost, my two wonderful daughters, they are my greatest sources of inspiration. They keep me balanced and fuel my drive to help make a world with great technology for everyone. Second, the timeless human spirit that drives us to grow spiritually, mentally, and technologically. TT: Your favorite pieces of music? RC: Tough question as there is so much great music. Right now I’m revisiting OBE (Out of Body Experience) by Rabbit in the Moon and The Aviator by K-os. RC: Robotics Trends, Engadget, The Verge, Seeking Alpha and TechieTonics. This was indeed an amazing interview, thank you Robert for taking out time in helping us go about a virtual meet up. We look forward to seeing more of your work and UVify’s progress in the very near future and before signing off, we’d like to wish you luck and success for all your future endeavors.